Total recommended period of study: approx. 4 to 8 months. Continuous enrolment. No time limit. Extra costs & shipping may apply for some non-EU countries - see apply page for details. Textbook study - distance learning. Written assignments based on textbook study and exercises. Assignment questions are issued by email and students return their written work by email. Grades and feedback are issued by email. The child counselling skills module takes a practical all-round approach to child counselling, including the use of play therapy techniques. The basic counselling framework is explained in terms of goals, the relationship between counsellor and child, and the qualities needed by a children’s counsellor. The history of work with children is reviewed and a theoretical chapter explains the processes of change. Essential child counselling skills are introduced in a step-by-step way with examples. The psychodynamics of child counselling is outlined. A range of instructions and techniques for play therapy is given using different media and activities. The use of worksheets is introduced and a range of sample worksheets is given. This module uses the fourth (2013/14) edition of the textbook, and will be updated with further editions. The adolescent counselling module takes a practical all-round approach to adolescent counselling incorporating knowledge of adolescent peer communication. The unit begins with an understanding of the nature of adolescence and the changes and problems that occur during that period, identifying particular hazards of the adolescent period. A proactive counselling model is then given, outlining the particular communication skills and counselling skills needed. A range of counselling strategies (symbolic, creative, behavioural/ cognitive-behavioural and psycho-educational) is explored and case studies are given showing adolescent counselling in practice. A discussion of professional ethics is also provided. The course has been revised and extended in line with the fifth edition of the textbook (2018). This course is for parents, qualified counsellors and helpers, teachers, and anybody who looks after or works with children or adolescents. It is an introductory or supplementary course and is not accredited by a government-recognised agency: therefore this course by itself is insufficient to qualify you to work with children wherever special regulations occur. However this course can act as a complement to other courses or refresher (especially if you have trained in the past and want to know the latest counselling thinking), and it might also increase your chances of finding a place on an approved child care or other course qualifying you to work with children. Qualified and practising counsellors, psychotherapists and hypnotherapists who already work with youth but have no specific certificate in that area will find this course a welcome addition to their professional portfolio, providing a key area of professional development. Professional societies that operate an unrestricted CEU policy may consider this qualification for CEU purposes. 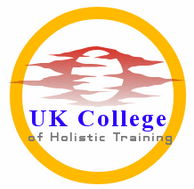 Successful graduates will receive the Diploma in Child and Adolescent Counselling Skills awarded by UK College of Holistic Training which is a private UK qualification. The course is accredited by ACCPH . Course graduates may use the postnominal initials Dip. C. A. Couns. Non-UK students are responsible for checking whether they need any form of accreditation or licensing to practise as a counsellor or psychotherapist, or to work with children, in their own country. UK College of Holistic Training is unable to give advice on local regulations in your country, or acceptance of this course outside the UK. A conversion route can be made be available for those who have the Certificate and wish to upgrade to Diploma. 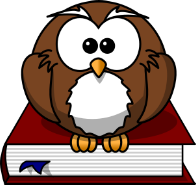 Students will need to obtain at least one new textbook. (UK and non-UK students will need to buy their own copies of the book for the conversion route). Please note that this course is not accredited or approved by the British Association for Counselling and Psychotherapy or the British Psychological Society. It does not lead to UKCP or BACP accreditation and is not accredited by any body that is recognised by the UK government. In the UK, counselling and psychotherapy are not government-controlled and there are many independent routes to private qualifications & professional society memberships. Geldard, K., Geldard, D. and Yin Foo, R., Counselling Children: A Practical Introduction. 5th edition. Sage, 2018. Geldard, K., Geldard, D. and Yin Foo, R., Counselling Adolescents: The Proactive Approach for Young People. 4th edition. Sage, 2015. UK students will receive a free copy of these two textbooks. Students outside the UK will need to acquire their own copies. Davis, McKay & Eshelman. The Relaxation and Stress Reduction Workbook. 6th edition. New Harbinger, 2008.